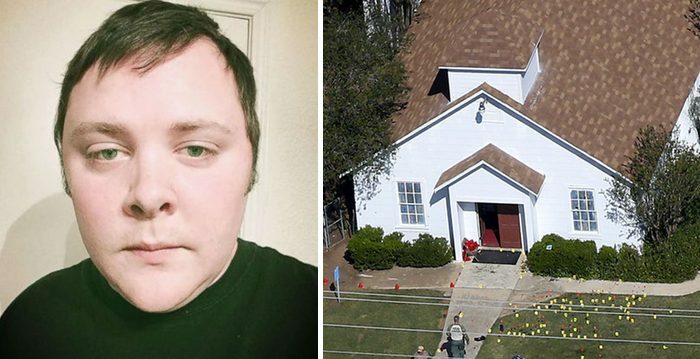 Texas church shooter Devin Kelley reportedly said, “Everybody die, mother-[expletive]!” as he shot and killed 26 people and wounded more on Sunday, Nov. 5, at the First Baptist Church in Sutherland Springs, Texas. “I thought it was the police when he went inside because everyone got real quiet. Everyone was saying, ‘Be quiet. It’s him. It’s him.’ Then he yelled out, ‘Everybody die mother-[expletive]’ and he started shooting again,” survivor Rosanne Solis told KSAT. “The Lord saved me, because I know it was my last day,” she added. Joaquin Ramirez, her husband, said the killer shot crying babies point-blank. He paced down the center aisle of the church and selected his targets. Meanwhile, the Pentagon separately disclosed that it had failed to furnish information about the gunman’s criminal record from his time in the in the force to a national database that should have prevented him from legally purchasing the firearms he bought, Reuters reported. Kelley, 26, was convicted by court-martial of assaulting his first wife and stepson while serving in an Air Force logistics readiness unit and spent a year in detention before his bad-conduct discharge in 2014, according to the Pentagon. The Air Force acknowledged on Monday, Nov. 6, that Kelley’s 2012 conviction on two counts of domestic violence was never entered into the National Criminal Information Center (NCIC) system, a U.S. government data bank used by licensed gun dealers for conducting background checks on firearms purchasers. Federal law forbids anyone from selling or giving a gun to someone convicted of a crime involving domestic violence. Sporting goods retail chain Academy Sports & Outdoors has said Kelley passed background checks when he bought a gun in 2016 and a second firearm the following year. 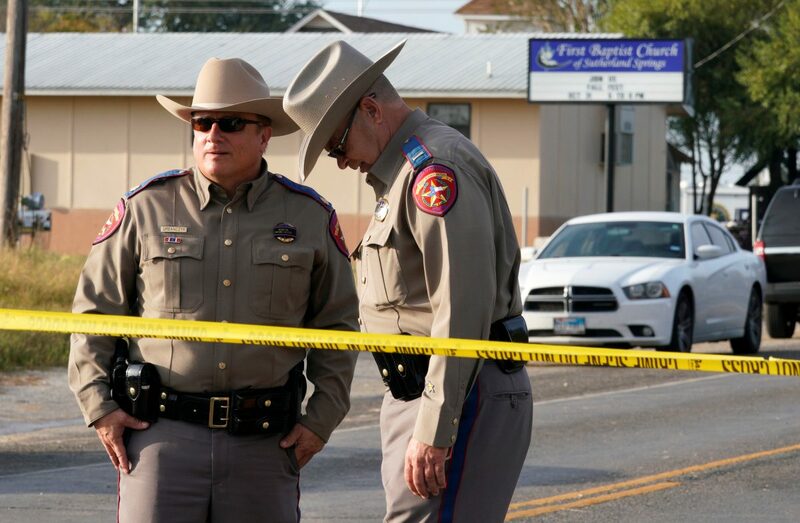 Details of a background of violent, disturbing behavior emerged a day after Sunday’s rampage in southeastern Texas, which ranks as the deadliest mass shooting by a lone gunman in the state and one of the five most lethal in modern U.S. history. 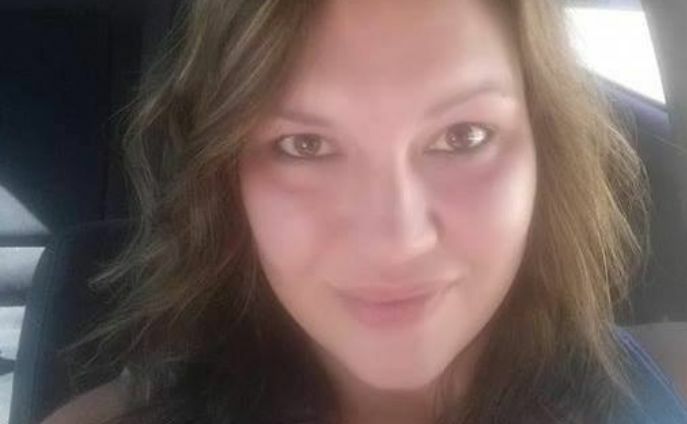 Kelley was found dead from a self-inflicted gunshot wound to the head after a failed attempt to make his getaway from the church, authorities said. Stepping out of the church, Kelley was confronted and shot twice—once in the leg and once in the torso—by an armed area resident later identified as Stephen Willeford.